The word Pearl is derived from the Latin word "pirum" which means "pear" which reflects the shape of the gem. For those who were born in the month of June the Pearl is the traditional birthstone. 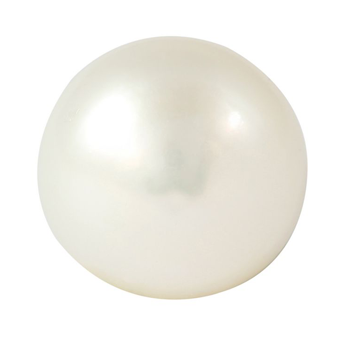 The Traditional Metaphysical Properties for the June Birthstone Pearl are modesty, chastity and purity. The pearl is also said to promote loyalty, faithfulness and friendship. The healing properties of pearls are reputed to be effective for health problems relating to the heart, spleen, stomach, intestine & ulcer problems. The Pearl is also used to enhance personal integrity. Historically, pearls have been used as an adornment for centuries. They were one of the favourite gem materials of the Roman Empire; later in Tudor England, the 1500s were known as the pearl age. Pearls are unique as they are the only gems from living sea creatures and require no faceting or polishing to reveal their natural beauty. Pearls were a popular gem in Victorian jewellery. In the early 1900s, the first successful commercial culturing of round saltwater pearls began. Since the 1920s, cultured pearls have almost completely replaced natural pearls in the market.